The Pacsafe Strapsafe 100 is a TSA accepted security luggage strap that features the patented baggage constrictor TM technology, the StrapSafe 100 cannot be loosened once locked, unlike other luggage straps. TSA agents can also safely check your luggage and relock it without damaging it. Indicator light tells you when opened by TSA or HRSC agent and eye catching colours help to identify the luggage. 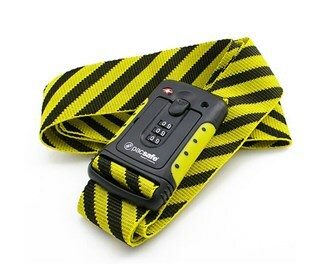 The Pacsafe Strapsafe 100 has many exciting features for users of all types. 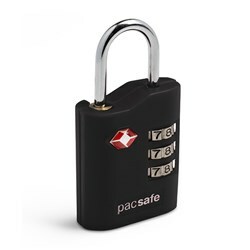 You can extend the lifetime of your Pacsafe Strapsafe 100 with the purchase of a FactoryOutletStore Factory Protection Plan. See the Pacsafe Strapsafe 100 gallery images above for more product views. 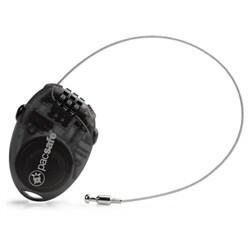 FactoryOutletStore stocks a full line of accessories like 4 Dial Retractable Cable Lock, Cable Lock, and Combination Lock for the Pacsafe Strapsafe 100. 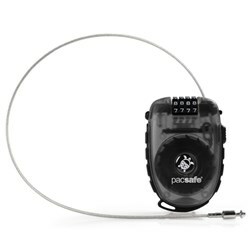 The Pacsafe Strapsafe 100 is sold as a Brand New Unopened Item.